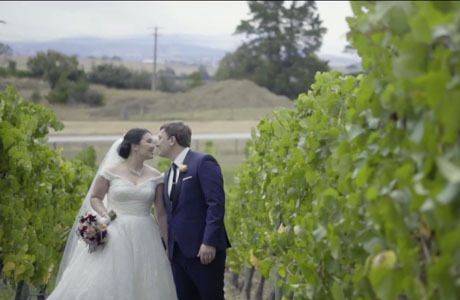 Balgownie Estate Vineyard Resort & Spa is a premier winery wedding venue set amongst the heart of Yarra Valley on Melba Highway. It can seat up to 150 guests in the stunning Melba Room. Balgownie Estate Vineyard Resort & Spa has two options for the wedding ceremony. The deck in front of Rae’s Restaurant is a truly outdoor wedding ceremony option. It offers the manicured lawn as well as the Yarra Ranges as the backdrop. The Marquee could provide another all-weather option for the nuptials during the wet season. 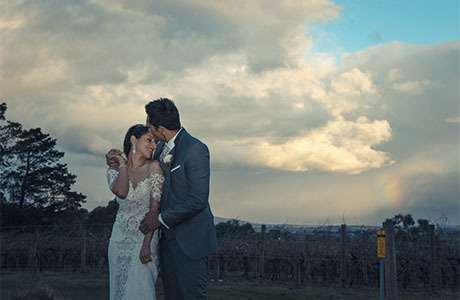 Balgownie Estate Vineyard Resort & Spa provides the superb scenery for a winery and candid wedding photography. The manicured gardens, the surround vines, the rolling hills backdrop give a diverse opportunity for your wedding photographer to record your day perfectly. The fantastic accommodation onsite can pamper your bridal party from the morning. With the wedding ceremony, reception and accommodation that the bride and groom need all stay within Balgownie Estate Vineyard Resort & Spa, it will allow your wedding day run seamlessly and stress-free. Our wedding photographer will take that ease to make your wedding day become the most memorable day in your life. From a Melbourne wedding photographer’s perspective, Balgownie Estate Vineyard Resort & Spa is one of our favourite winery wedding reception venue. 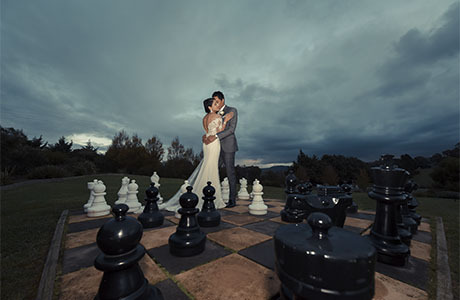 Should you have any questions to plan a wedding at Balgownie Estate Vineyard Resort & Spa, please do not hesitate to contact us for the suggestions and information from a wedding photographer’s view.